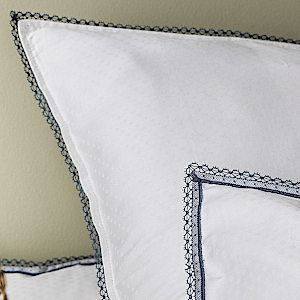 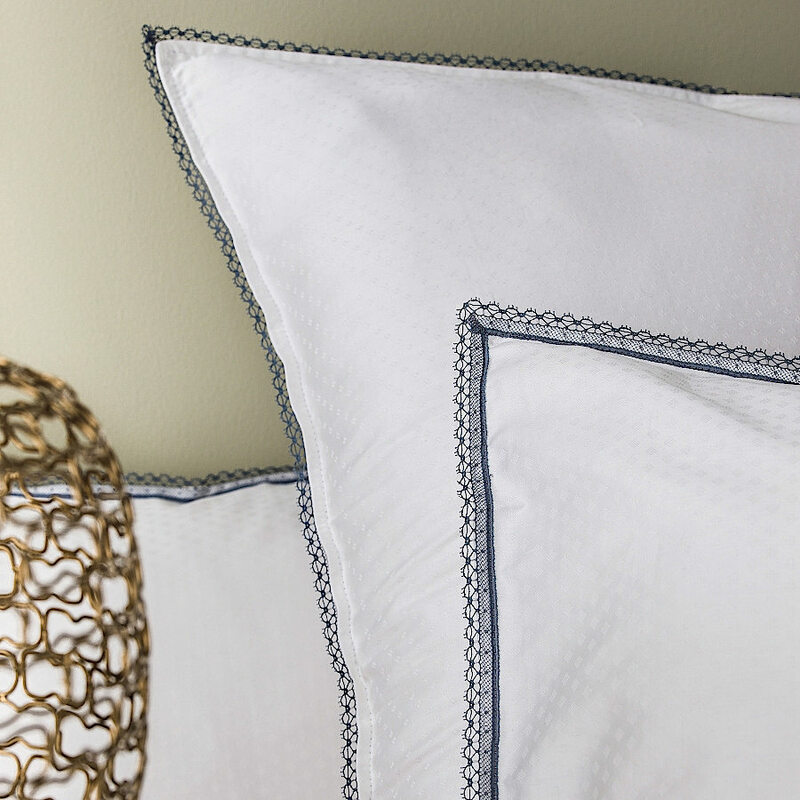 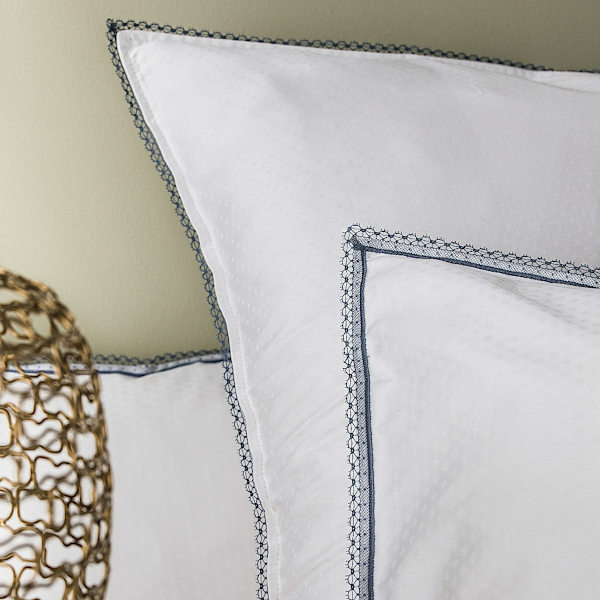 Pillow Shams: jacquard fabric with small squares in front, jacquard fabric with small points, finished by lace. 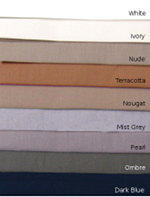 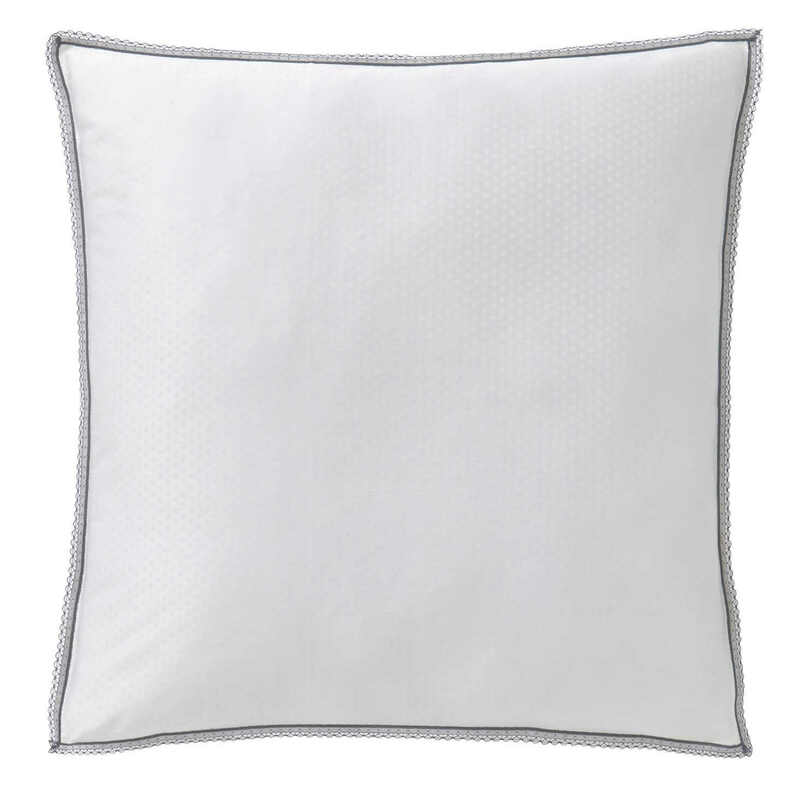 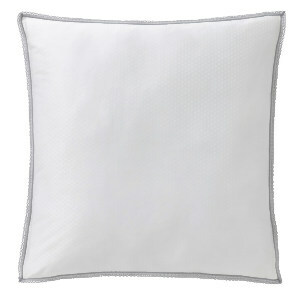 Pillowcase: Pillow Cases are ALWAYS made with the reversible fabric of the duvet cover. 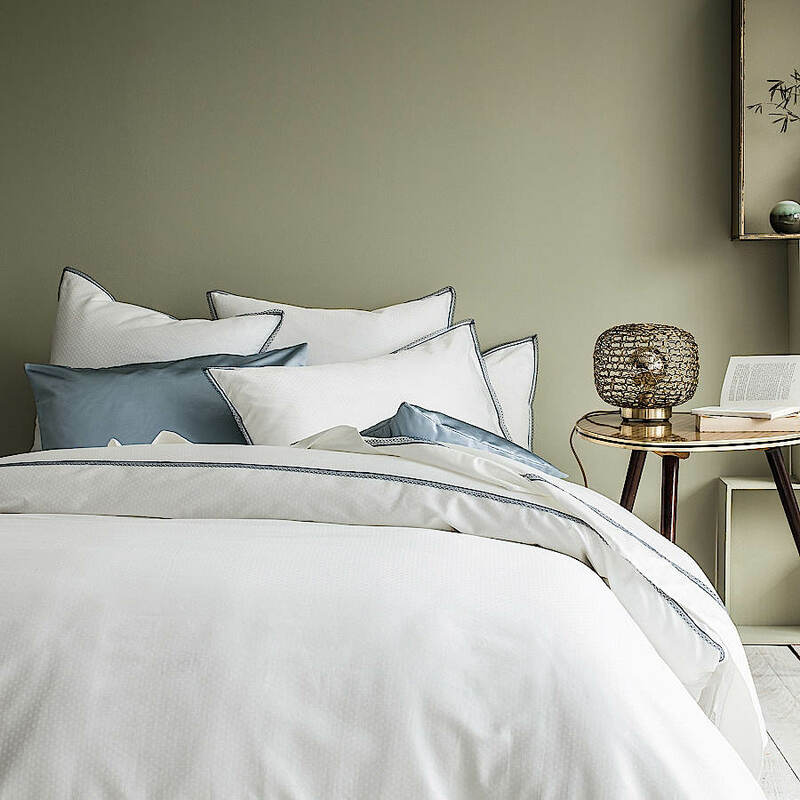 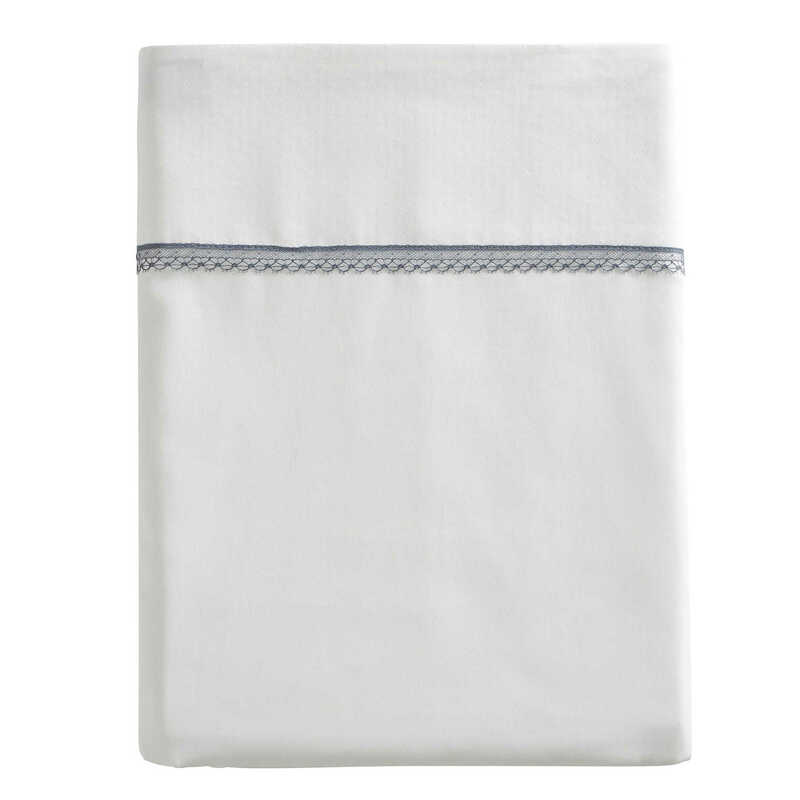 Duvet cover: Jacquard fabric with small checks, top in jacquard fabric with small points and lace, reversing to plain fabric. 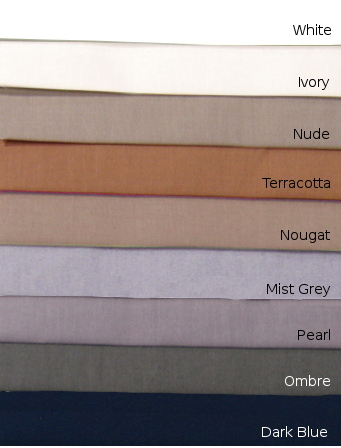 Fitted Sheet: Murmure d' un soir soie. 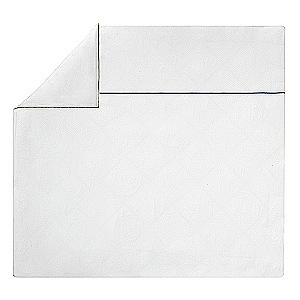 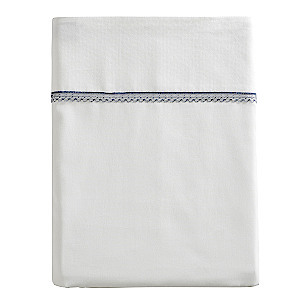 Flat Sheet: plain fabric, 4" in striped fabric, finishing by lace.